Iran to bring back a second batch of enriched uranium it sent to Russia in 2015 as part of its commitments under nuclear deal. Iran announced on Saturday that it will bring back a second batch of the 20%-enriched uranium which it sent to Russia in 2015 as part of its commitments under the nuclear deal signed with world powers. The uranium that is return is to be used in the Tehran Research Reactor, according to a report in the semiofficial Fars news agency. "When we were inking the nuclear deal, we stopped production of 20% fuel and deposited the excessive fuel in Russia in nearly 10 batches. We received the first batch nearly seven months ago and the second batch is about to be transferred back to Iran. 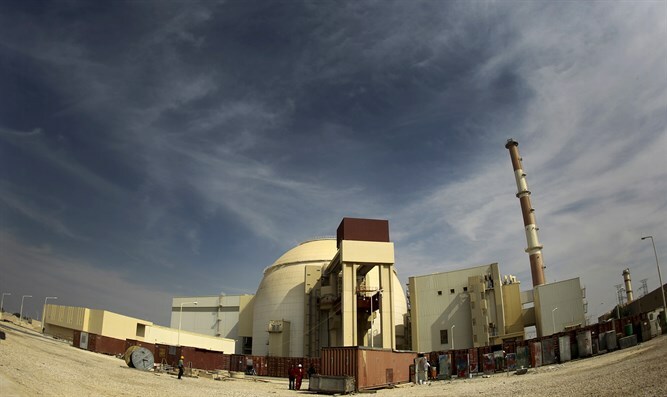 Any of these batches can be used for nearly one year and therefore, we have 20% fuel for Tehran Reactor for at least 7 to 8 years," said a spokesman for the Atomic Energy Organization of Iran (AEOI), Behrouz Kamalvandi. "If the fuel is sold to us, we do not need to produce it by ourselves," he continued. "If the nuclear deal remains alive, the other sides should sell us the fuel and if the nuclear deal dies, then we would feel unimpeded to produce the 20% fuel ourselves," Kamalvandi said. He further said that based on the nuclear deal, Iran is entitled to resume production of 20% fuel 15 years after the date on which the deal was endorsed. The comments come days after U.S. President Donald Trump signed an executive order officially reinstating U.S. sanctions against Iran. The sanctions were reimposed three months after Trump pulled out of the 2015 deal under which sanctions on Iran were lifted in return for curbs to its nuclear program.